The queen of subtlety and hidden-messages is back! 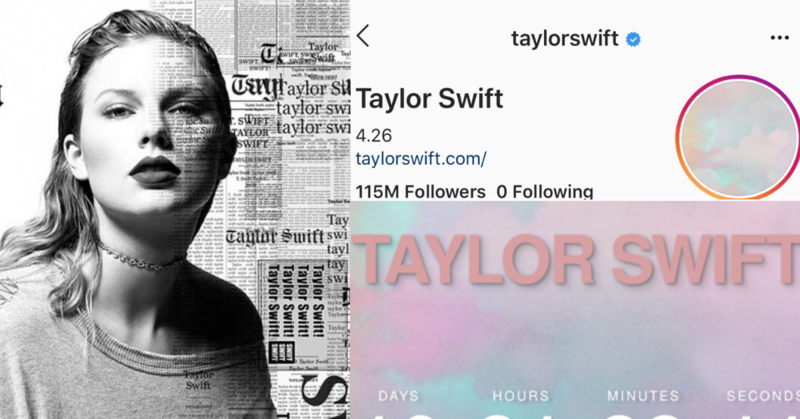 Taylor Swift posted two pictures of the revelation of the big secret with the caption ‘4.26’ and had left all of us feeling curious about what’s behind the big day. Taylor also updated the bio for both her Instagram and Twitter account to 4.26 and switched the profile picture to a pastel smoke background. Not just that, the countdown is also shown on billboards from all around the world including United States, United Kingdom, Australia, Mexico and Japan. And if you search up AprilTwentySix.com, it will even redirect you to Taylor’s official website where it’s all about the countdown till 26thApril and you can sign up to receive the latest updates for the big day. We believe that all Swifties are hoping that the big revelation will be followed by the release of TS7 album that they’ve been waiting for. This theory is pretty legit. From one of my tumblr moots sparksoftaylors. Just 9 more days to go! Let us know what do you guys think in the comments down below!